It happens sometimes in December, sometimes as early as November. This non-winter so far, a cold, sunny January morning, it remains a work in progress. Though something is happening as you drive by, catching a glimpse of the shore. 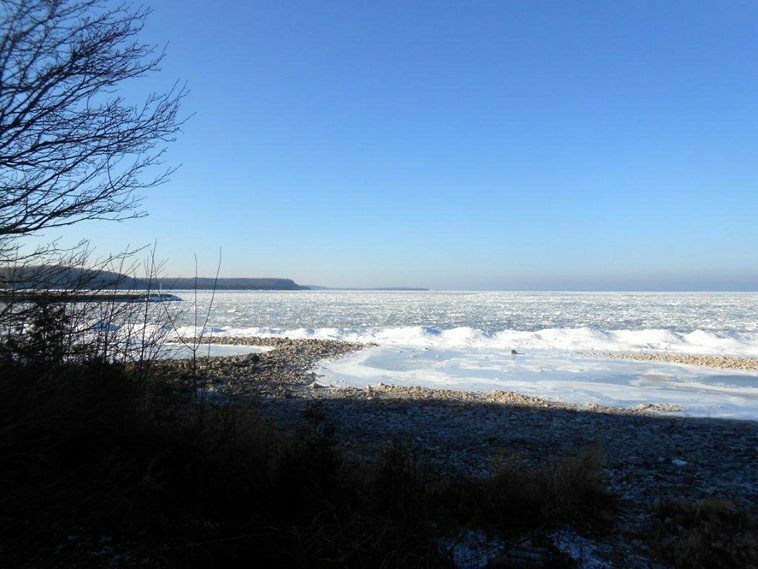 You will never “see it” happen in the moment: the ice coming in, into, on the bay, gathering strength and depth so slowly before your very eyes. Given another freeze or two, and you too can walk on water. Soon the shanties arrive…the ice fishermen slowly moving out, into, above it all, with their drills and rods and lines and bait and nets and hooks…the shanties sending small clouds of smoke high above the frozen scene, while inside men sit and eat and drink and talk and laugh and tell stories and are a thousand miles from home…waiting above a small circle of blue water. Which has become their universe. Ahhhhh Norb your descriptions of glacial bliss ALMOST make me wish I could be out there freezing my arse and wondering why I can’t outsmart a tiny little fish-brained perch, pike, or trout!! Thanks for a good idea beautifully expressed, Norb. Yesterday, I had just finished a late summer watercolor of hauling hay into the barn, and came out to the studio wondering ‘what next’ ? Lovely photo; I’m more of a look out the window at it than snowshoe or ski, but I love winter since I no longer have to scrape my car and go to work. Aw, retirement! I love reading your meditations on winter. 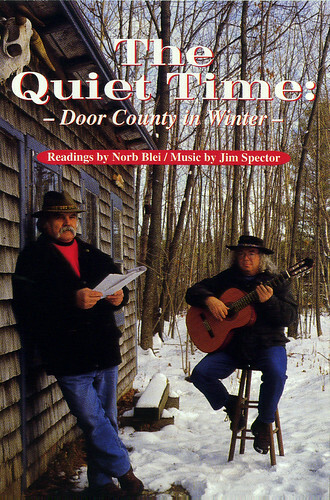 Brother Norb- report from Lake Superior…ice a foot thick at the bottom of Chequamegon Bay…open water towards Bayfield has skim ice…I doubt there will be an ice road to Madeline Island this winter….I do my time in my fishing tent…cigar….book….radio…brown trout and coho teasing us all….I too love your powers of description….poetry frozen…carry on…hope this year to enter the Coop. Thank you for expressing the beauty of winter for those of us that love the four seasons in Door County.